A simple innovation is changing the way we fight drought. It is not uncommon for new mothers to struggle to adjust to the challenges of motherhood. But Catherine Nabulon (34) from Abulon, Kenya, has the added complication of raising her new-born in the middle of a drought. After her husband left her, she became the sole earner in her household and now spends her days in search of odd jobs, which has gotten increasingly difficult as resources dried up. Turkana County, where Catherine lives, has been ravaged by a devastating drought. It is one of 23 counties — half of Kenya — currently in dire need of water. With increased demand from people who desperately need to provide for their families and their livestock, water sources have been stretched. Right now 2.6 million people in Kenya need life-saving aid, including clean, safe water. 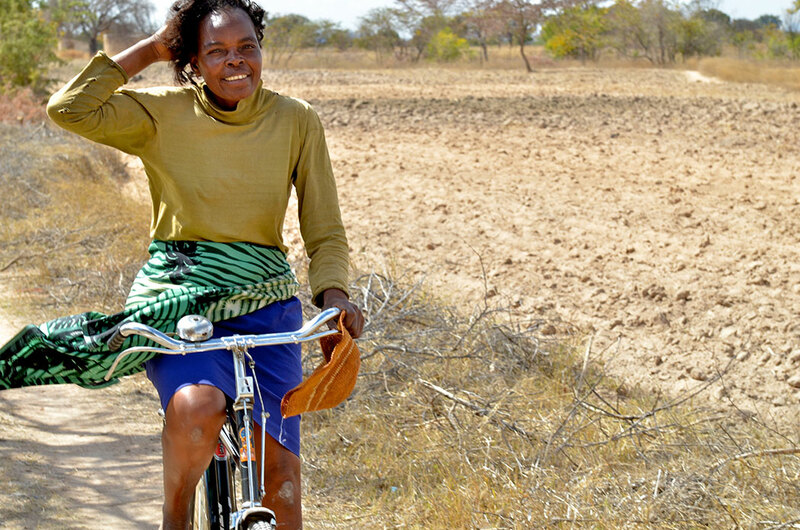 To cope with the effects of drought, Oxfam is providing cash via an e-wallet mechanism to enable people to regain some control over their lives. Customers like Catherine present their card to an Equity Bank agent who debits the amount that they need to buy water for a particular day. The agent then issues a receipt for that amount of water. Each five-gallon jerry can costs 5 Kenyan Shillings, or about €0.04/£0.03. Next the customer gives the receipt to a water kiosk vendor for redemption who draws a volume of water that is equivalent to the amount taken off the card. With her allocation of 900 Kenyan shillings (approx. €7.50/£6.50) Catherine purchases clean water to care for her baby. This support gives her peace of mind and allows her to focus on her dream of starting a business. The system also allows for flexibility and better planning so Catherine and others in Turkana can address their most immediate needs and cope with the drought. Since September 2016, Oxfam has been on the ground in Kenya, repairing and upgrading borehole wells so that people can access clean, safe drinking water as well as providing cash assistance to help people buy essentials like food. We also provide hygiene and sanitation support and training to help prevent the spread of deadly diseases. Through financial support from the European Civil Protection and Humanitarian Aid Operations (ECHO), we are reaching 1,000 households (or 6,000 people) with cash transfers, including cash that is disbursed through the e-wallet mechanism used specifically to buy clean, safe water. Despite Oxfam’s work, drought in Kenya continues to push people to extreme hunger. You can take action now to help people like Catherine by donating to our Hunger Crisis Appeal – 100% of your donation will go to our emergency response supporting people facing starvation in East Africa, Nigeria and Yemen. Divya Amladi is Oxfam America’s Content Producer and Copywriter. 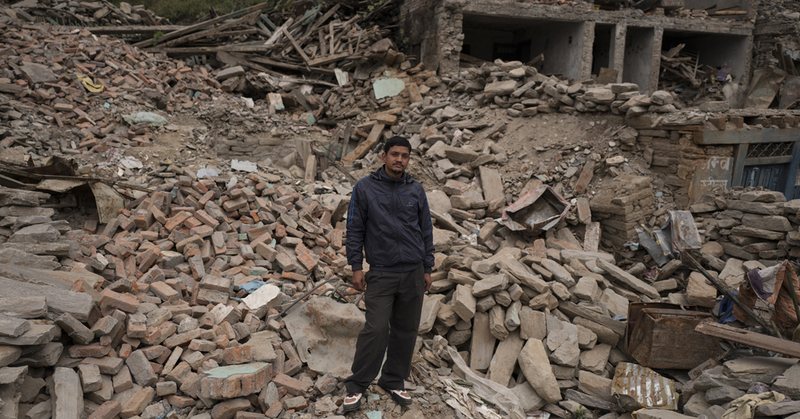 On 25 April 2015, Nepal was struck by the first of two major earthquakes that left nearly 9,000 people dead and destroyed or damaged more than 850,000 homes. I was in Nepal in the immediate aftermath of the first quake and saw first-hand the difference your donation made as we were able to provide clean water, sanitation, emergency shelter materials, food and other vital relief. Your donation has helped not only provide immediate aid like shelter, blankets and clean water but also now the hope of a return to normality. Critically, your support also means that Oxfam can continue to support affected communities throughout what will be a long road to recovery. Bimala, Gana and Netra are just some of the thousands of people supported at the most challenging of times. 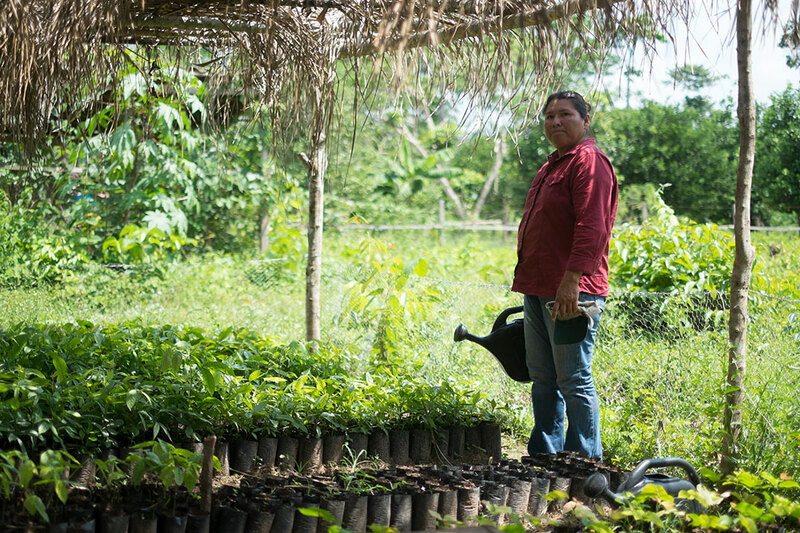 Their stories are powerful examples of how your support has enabled Oxfam to rebuild communities, restore livelihoods and help people return to normality, stronger and better prepared than before. Bimala Balami’s life was devastated by the earthquake, which destroyed her home in Dachi Nkali municipality, in the Kathmandu valley. Bimala recalls: “My mind went completely numb. I couldn’t think. I only cared about my baby. I just wanted to protect my child. On the hillside fields where her local community grow rice, wheat, mustard, peas, cucumber and other vegetables, the irrigation channel that provides water for the crops was badly damaged as a result of a landslide triggered by the earthquake. Oxfam has responded with your support by paying groups of 30 women, including Bimala, to construct a new irrigation channel. This provides the women with an income and the community with prospects of a substantive harvest. 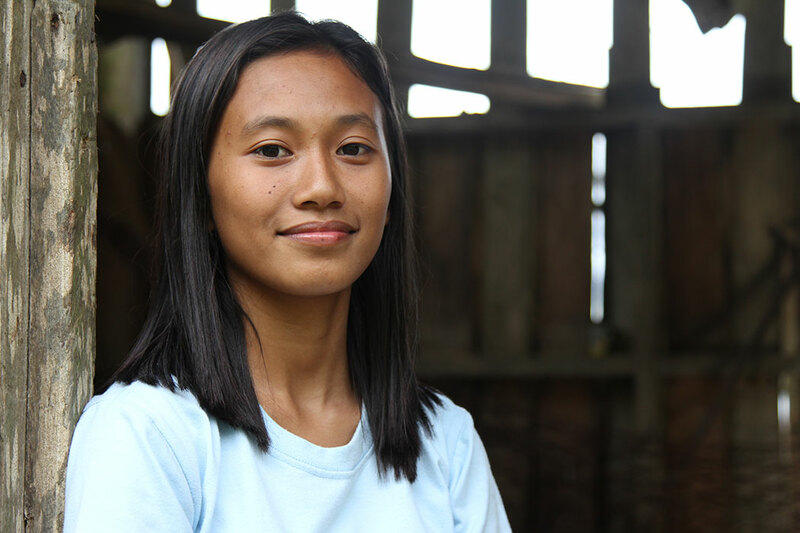 For people like Bimala, trying to piece their lives back together after the earthquake, cash-for-work projects such as this make the critical difference between hope and despair. It creates opportunity to rebuild not only individual lives but also that of whole communities at the same time. In all we have organised 25 similar cash for work programmes in the area where Bimala lives involving 600 people, including clearing debris and repairing roads damaged by the earthquakes and subsequent tremors. Across our response, over 20,000 households have benefitted from such schemes. 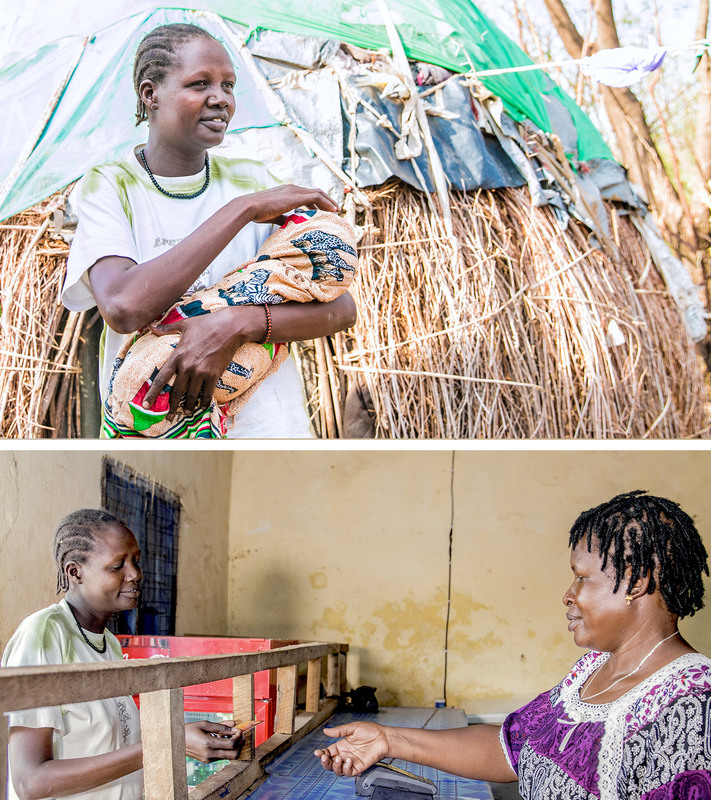 We have supported women across four districts with financial support in the form of cash grants to enable them to restart their businesses and get their livelihoods back on track, including shop-keeper Gana Butrai. “The day the earthquake happened I was actually in my shop,” she recalls. “The only thing I was thinking was will I live or will I die. I didn’t look at my watch but it felt as though it went on for at least half an hour. The ground felt like it was shaking for almost an entire day. “The building was damaged in the earthquake; it used to have a top floor but it fell down and the wall on the left fell down as well. “I had to ask people to come and help me but I couldn’t retrieve all of the items and lots of them expired. So I had to start again, reconstructing the entire space. Things have become a lot easier since Oxfam has helped. Business is now booming for trader Netra Parajuli after Oxfam’s support. Photo: Kieran Doherty/Oxfam. 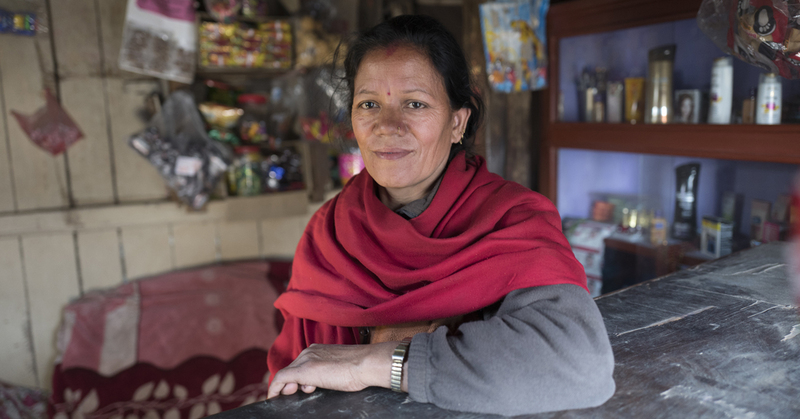 We are distributing vouchers so people can buy what they need to restart their farms, businesses and kitchen gardens – which is good news for traders like Netra Parajuli. Before the earthquake, Netra ran a thriving shop in Lamosanghu, but like thousands of others, his livelihood was destroyed in the disaster. “Everything started moving and we all started running towards the door. Slabs of concrete were falling all around us. I thought they would kill me. “I couldn’t breathe; there was dust everywhere. I tried to see someone around me but I couldn’t see anyone. I thought I was dead. Suddenly a wall broke and I saw light. I ran towards it. With the stock he salvaged, Netra has managed to set up a temporary shop, and thanks to Oxfam’s voucher scheme, business is now back on track. Oxfam has distributed over 6,000 vouchers to help people buy agricultural tools and supplies, with each voucher worth 2,000 rupees (around €17/£13). The distribution supports not only the people receiving the vouchers, enabling them to restart their kitchen gardens and farms, they also support local traders and store owners like Netra and reignite the local economy. A further distribution is planned to commence soon, supporting local communities with livestock and grain storage through cash grants. 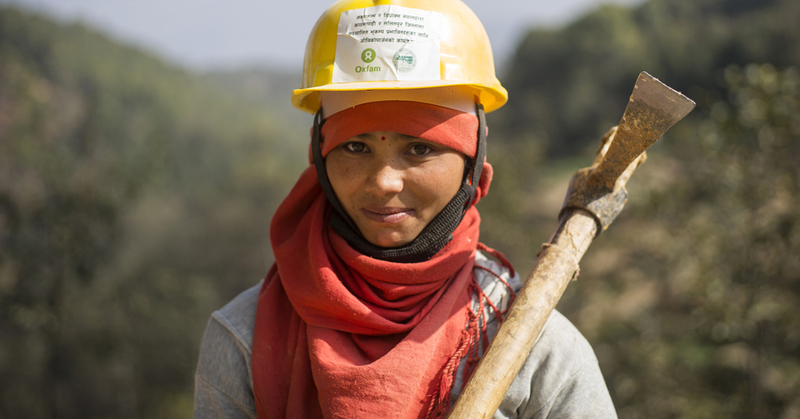 In addition to direct assistance, Oxfam is advocating with national and local authorities in Nepal for the roll-out of a recovery process and plan that ensures no-one is left behind – especially women and other marginalised communities with limited resources or opportunities even before this crisis and who are now only more vulnerable. We are urging a reconstruction effort that builds back better, creating a fairer, more equal and inclusive society than before.